On Saturday, May 3 Brighton will host its annual Children’s Parade. This year’s theme is “The Arts” with different sections such as dance, theatre and visual arts… it’s a beautiful event to attend! For this special day we have designed a yummy kid’s menu. 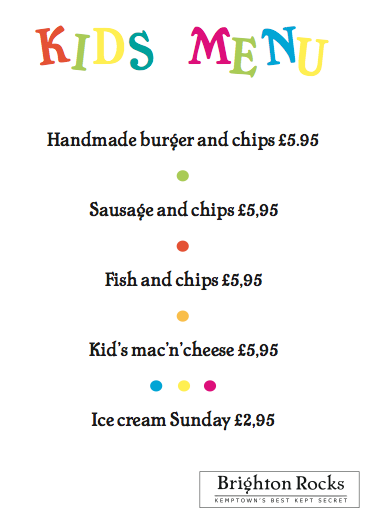 From our famous handmade burger to Chris’s special Mac’n’cheese, we’ll thrill those little bellies!